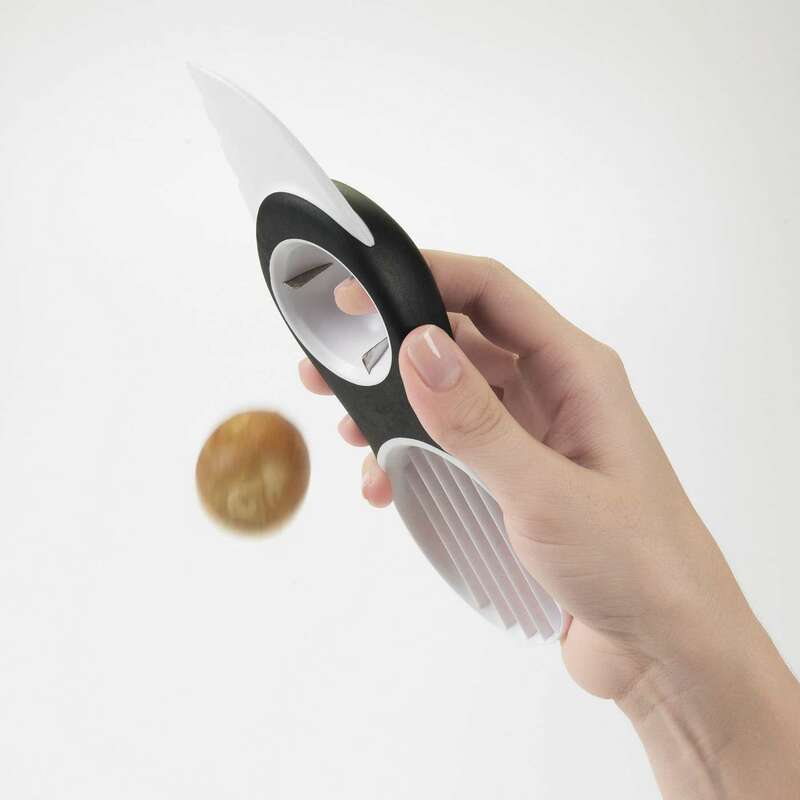 At OXO, we consistently address even the tiniest of pet peeves, because we know it’s the little things that make the biggest difference. 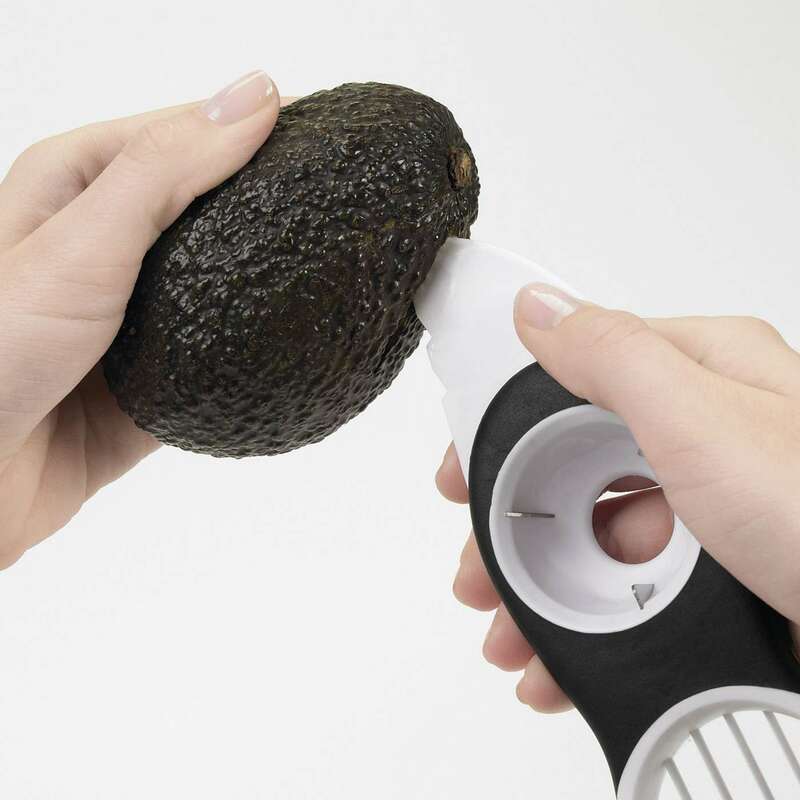 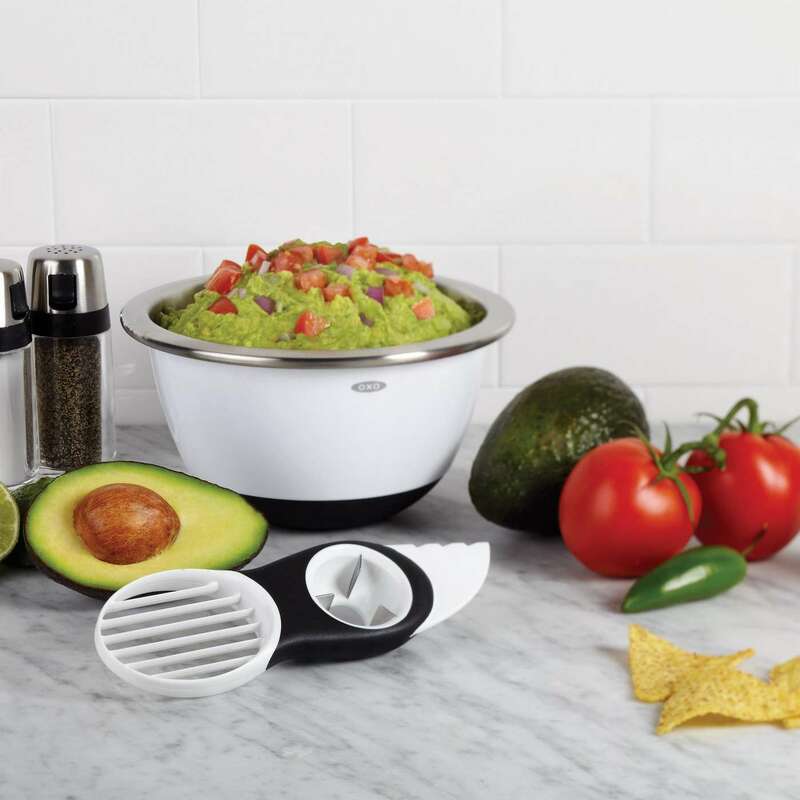 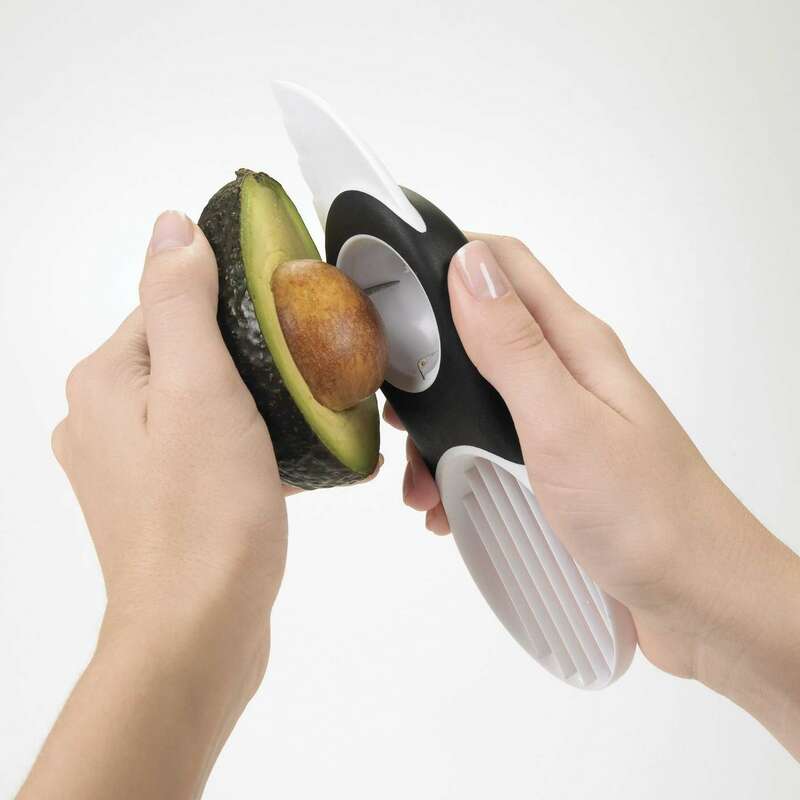 We tested more than 700 different shaped and sized avocados to create a Slicer that splits, pits, slices, and scoops safely and effectively – lucky for us, avocados have the good fat! 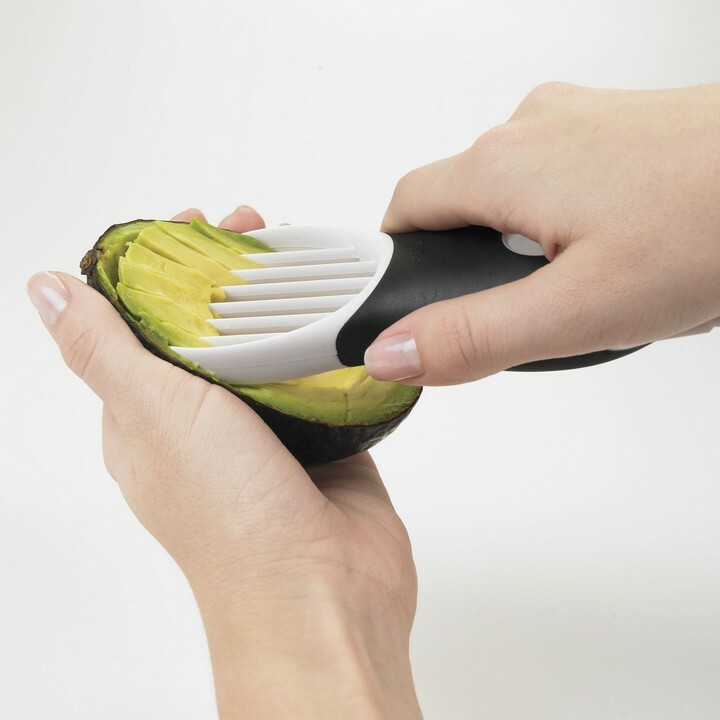 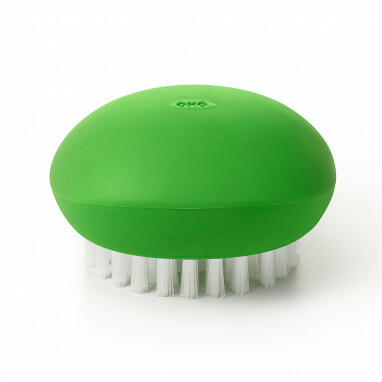 The plastic blade smoothly cuts through avocado skin and fruit, yet isn’t sharp to the touch. The pitting tool quickly removes pits with a simple twist. 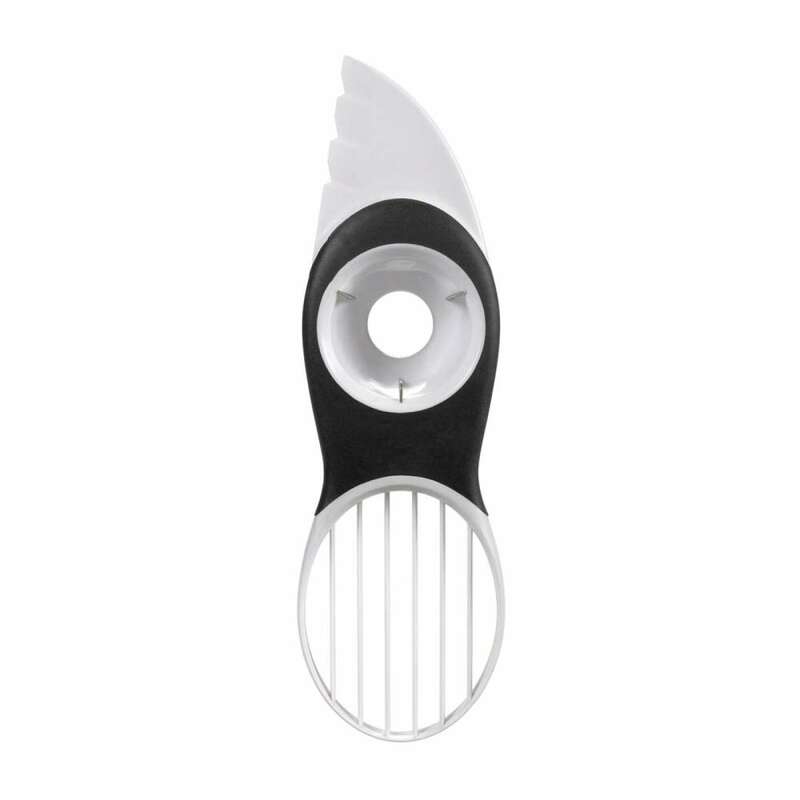 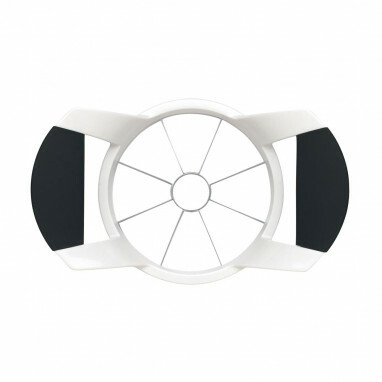 The fan blade cuts fruit into perfect slices and scoops them out for serving.